If your answer to question 59 was “Unmarried and both parents living together,” contact 1-800-433-3243 for assistance with answering questions 80-94. 80. For 2017, have your parents completed their IRS income tax return or another tax return listed in question 81? My parents have already completed their return. 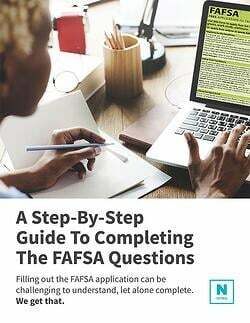 The FAFSA asks all dependent students to provide their parent / parents’ income tax return information as a means to assess your family’s financial ability to pay for college. This specific question asks your parent/parents what their tax filing status is for the tax year 2017. (Note: for the 2019-20 FAFSA, parents will be submitting their 2017 Federal tax return status). You may select from the drop menu whether your parent/parents: “Already Completed”, “Will File”, or “Not Going to File.” There is no wrong answer, but it is important to be as accurate as possible. However, if you select “Will File,” your parent/parents are expected to update all appropriate FAFSA fields when they have filed their Federal tax return. If they select “Not Going to File,” the college may follow-up to find out why they didn’t, particularly if your are eligible for Federal financial aid. If your parents are not married, separated, divorced, or widowed, you are only required to report one parent’s financial information on the FAFSA.